Michael L. Faltischek | Ruskin Moscou Faltischek, P.C. Jun-09 Cap and Trade: Is It In Your Future? A senior partner at Ruskin Moscou Faltischek P.C, he has played a key role in the success and growth of the firm since graduating from law school at the top of his class. He served as managing partner from 1982 until 2006, leading the firm from its roots as a small local firm to its current prominence as a major regional firm with more than 60 professionals and 130 staff members. Michael has frequently been recognized as one of the leading members of the legal profession by Long Island Business News in its annual Who’s Who in Law and was a recipient of its Leadership in Law Award. Recently he was recognized with a Lifetime Achievement Award at the 2016 LIBN CEO Awards dinner. In 2017, he was recognized as a King of Long Island by the Star Network. Michael Faltischek is a member of the Corporate and Securities Department, advising entrepreneurs and business enterprises in corporate finance, governance, mergers and acquisitions, succession planning and international business transactions. He has also led programs in issues related to corporate governance. He was instrumental in the formation of the firm’s Corporate Governance Practice Group, which addresses the needs of corporate leaders in light of far-reaching corporate reforms. He has been a frequent lecturer for the New York State Bar Association in various areas of corporate and business law, including forming and advising businesses, limited liability companies and law firm management. In 1995, Michael was appointed as a Trustee of the Long Island Power Authority and served until 2001. He was actively involved in the acquisition of assets from the Long Island Lighting Company and the sale of over $8 billion in bonds to finance the transaction. He chaired LIPA’s Economic Development Committee and was a member of its Finance Committee. Building upon this and his many years of experience with clients in the construction industry, he founded and is chair of the law firm’s Energy Industry Practice Group, a multidisciplinary group providing diverse legal services, which focuses on the unique needs of the energy industry and its ongoing efforts to satisfy the energy needs of the regional marketplace. He represents many energy providers, including Caithness, which developed the first baseload power plant to be built on Long Island in over 50 years, and Calpine, which operates a facility in Bethpage. The Center provides 350MW of electricity utilizing modern, clean, and efficient generation methods. In 2007, he helped found the Advanced Energy Research and Technology Center. He serves as Vice Chairman of its Advisory Board. The Center is a hub of energy related research undertaken at Stony Brook University, Brookhaven National Laboratory and other institutions. The Center will not only advance research but will take the lead in fostering commercialization of promising technologies. For more information, go to www.aertc.org. He has served as General Counsel to the New York Smart Grid Consortium from its inception, an association in which utilities and allied industry leaders address the future needs of energy distribution. 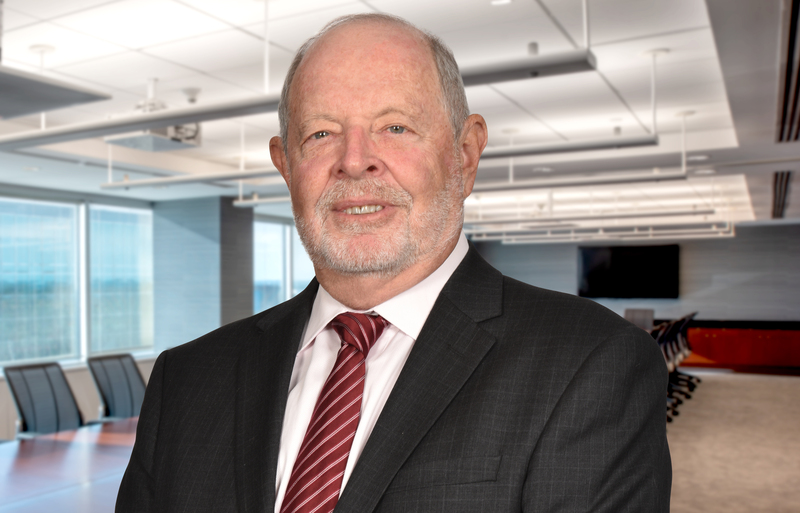 He has served on the Advisory Board of The Institute for Energy Law, an international organization comprised of the world’s leading energy companies and attorneys. Michael is a founding member and currently serves as Chair of the Long Island Angel Network, formed to provide a forum for inventors, entrepreneurs and investors to examine investment opportunities in new technologies, products or business models. The Network has been successful in providing, through its members, equity to several start-up ventures. For information, go to http://www.liangels.net/about-us/board-of-directors. His efforts have been recognized by Innovate Long Island, where he has been named as a Master of Innovation. He is a member of Illuminado Partners, LLC, a business advisory group providing support to early stage and growth oriented companies. He is a founding shareholder of Gold Coast Bank and serves on its Advisory Board. A long-time leader in community activities, Michael has served on the Board of Directors of the Long Island Association, the region’s largest business and civic group, since 2001. He has served as a Vice Chairman, Treasurer and Chairman of its Audit Committee. He is a director of the Sunrise Association, which provides, at no charge, summer day camp and year-round programs for children with cancer and their siblings. Michael chaired the Long Island Regional Board of the Anti-Defamation League, one of the nation’s premier civil rights and human relations agencies that fights anti-Semitism, all forms of bigotry, defends democratic ideals, and protects civil rights for all and has been a national commissioner. He has been a delegate to the annual National Leadership Conference held in Washington, D.C. and received the ADL Torch of Liberty Award in 1992. He served as cochairman of the United Jewish Appeal Rockville Centre Cabinet for more than 10 years and was honored in 1987 with its Man of the Year Award. He is a past chairman of the board and president of Temple B’nai Sholom of Rockville Centre, where he continues to serve the Temple in various leadership capacities. Michael has also served on the executive board of the Theodore Roosevelt Council of the Boy Scouts of America, the dean’s executive council of the Frank G. Zarb School of Business at Hofstra University, the board of Old Westbury Gardens Foundation and as a director of Glen Head Country Club, where he served as chairman of its law committee for many years.